AMIDEAST and the Citi Foundation are pleased to launch training programs in Egypt, Saudi Arabia, and the UAE to help unemployed technical and college graduates improve their job readiness and ability to find employment. As part of the Citi Foundation’s Pathways to Progress initiative – a global commitment to tackle youth unemployment – a total of 216 young men and women, 72 in each country, will benefit from the new Skills for Success® programs, which will target underserved youth in Egypt’s El Beheira Governorate and Al Ain in the UAE, as well as unemployed women graduates in Riyadh, Saudi Arabia. In the final phase of each program, participating youth will themselves conduct workshops for other youth in their communities through a “Pay It Forward” model, broadening the programs’ impact to upwards of 1,000 young people from disadvantage backgrounds. Participants will receive personal development and professional skills training complemented by practical internships, mentoring, and coaching. In the Pay-It-Forward phase, they will be trained to deliver self-development sessions that help other youth in their communities increase their own awareness of career planning strategies. AMIDEAST and the Citi Foundation share a commitment to expanding opportunity for the region’s youth, who face unemployment rates that are among the world’s highest. AMIDEAST draws on its decades of expertise in training and knowledge of the MENA region to develop and implement Skills for Success programs to help recent graduates overcome skills mismatches that often prevent them from entering the workforce. Beneficiaries of the programs join hundreds of thousands young people around the world who are supported by the Citi Foundation’s Pathways to Progress initiative to build entrepreneurial mindsets and leadership skills, helping them gain skills they need to succeed in the job market. The new programs are the latest joint effort of AMIDEAST and the Citi Foundation to expand economic opportunity for youth and women in the MENA region. 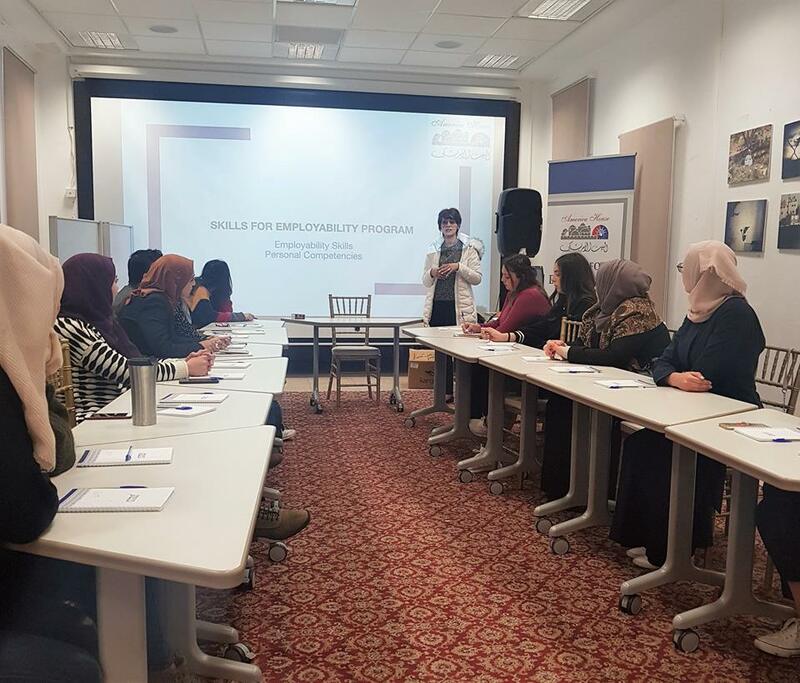 Recent Citi Foundation-funded Skills for Success and entrepreneurship programs in Lebanon and Egypt have directly benefited over 100 youth. Between 2011 and 2016, the Arab Women’s Entrepreneurship Project (AWEP) helped develop the entrepreneurial aspirations of some 275 women in Egypt, Iraq, Jordan, Kuwait, Lebanon, Morocco, and the UAE. And, in Egypt, the two-year Youth Entrepreneurship Project (YEP) ended in October 2018 after helping 48 aspiring young entrepreneurs develop and/or launch their business ideas.